The Social Committee at New Maryland United Church responds to requests in the church for social events, looking after the setup and cleanup for coffee hours after church and congregational meetings. They help out with the Session hosted "Welcome Back Sunday Corn Boil and Barbecue" in September and graciously help out other groups when called upon. 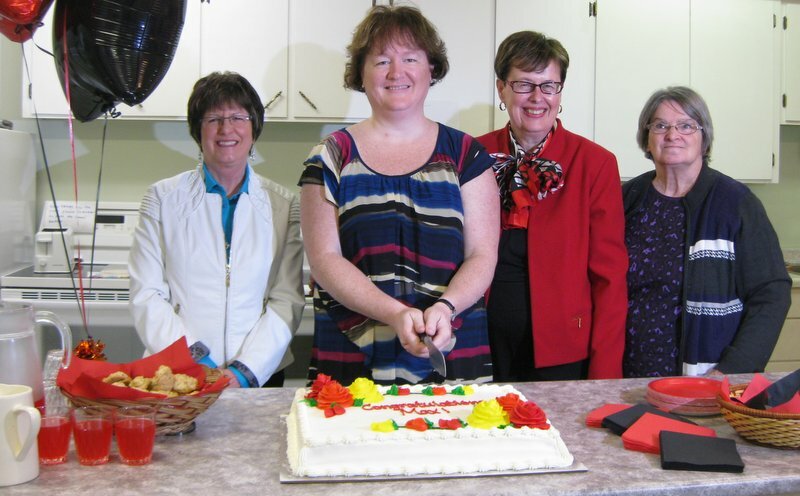 Pictured here are members of the Social Committee (Linda Watson, Pam Campbell and Linda Lyons) with Maxine MacConnell cutting the cake in celebration of her receiving her Masters Degree in Education. We at New Maryland United do not miss opportunities to celebrate!